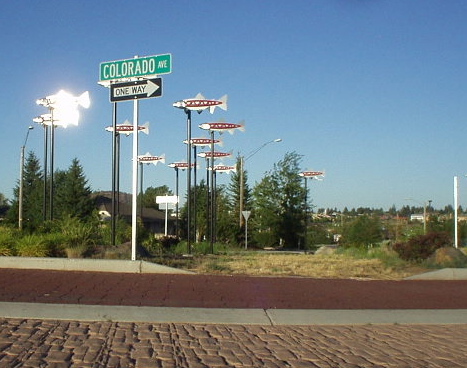 Bend is the largest town in Central Oregon and is celebrating it’s centennial year this year (2005). It first caught my interest because 1) being just east of the Cascades in high desert country, it does not rain nearly as much as any city in western Oregon from Portland to Medford, and 2) a number of high-profile athletes seem to have defected there from California. It was my first major stop in my 2-month “Great American Western Tour“, and it certainly did not disappoint. In addition to going around the city and making my own conclusions, I got some GREAT insights and information from two friends of AJ, Margey and Hunza. Margey, it turns out, used to babysit AJ when he was just a little kid in Massachusettes! She lived in Bend for 7 years and Hunza exactly 8 when I met him (on his birthday), and truly seem to love the place. I cannot blame them. Below are impressions I got from them, from what I witnessed, along with research of the ‘net. Within the Cascades are a plethora of near-pristine lakes. Some of these, like Elk Lake (40 miles away) are swimmable. The Cascades themselves provide stunning views year-round, being very green with pine in the summer, and blanketed by snow in the winter. 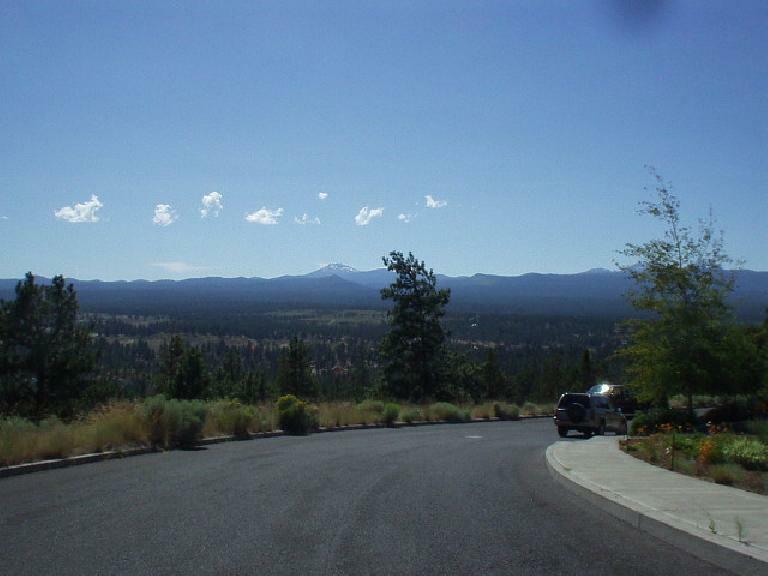 There are many areas in Bend that offer viewing perspectives (more on this later). To the southeast is the Deschutes National Forest, and the the northeast is Smith Rock State Park. It is noticeably more arid to the east. I’d say the views are not as good as to the west, being a lot more yellowish (at least in the summer), but at least the hills aren’t entirely barren as they are in the foothills of the East Bay of California or in the Central Valley. Northwest of Bend are yet more mountains including the Three Sisters, which are taller than Mt. Bachelor. The Deschutes River runs through town right next to downtown. The Deschutes is referred to as the Big Deschutes and Little Deschutes. The Big Deschutes comprises at least the portion near Sunriver (maybe 15-20 miles away); I’m not sure what makes up the “Little Deschutes”. Despite being in the high desert, the city of Bend itself is very green, much greener than one would expect if “desert” solely conjures up images of Death Valley. 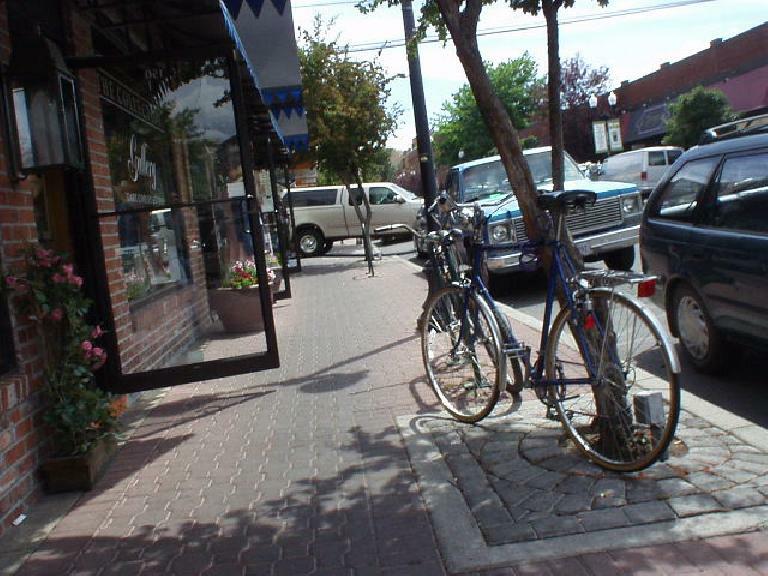 Downtown Bend isn’t huge–maybe comprising 10 blocks (2 X 5) along Bond and Wall Streets, but is very clean and pleasant. During the day, it is has a lot of people around, yet is not crowded and the pace of which can be best described as leisurely (in the morning in the summer, at all times of the day, many people are just sauntering around in outdoor seating outside of restaurants with a cup of coffee, seemingly in no rush.) It is livelier during dinner, but parking still is not a problem. You don’t see any parking meters or meter maids around here. Restaurants range from the $3.75 “Super Burrito” joints to more elegant faire; there seems to be a fair mix of ethnic restaurants, which have been trickling in during the last few years. In addition to a couple of Mexican joints, I saw Japanese Teriyaki, Indian, and Thai restaurants, along with quite a few bakery/cafes. There are a few bars/clubs too intermingled with outdoor specialty shops and artsy boutiques. In the early 1980’s, there were only about 12,000 residents here. By 1997, this number had almost tripled to 32,000. By 2005, it already doubled, to 65,000. 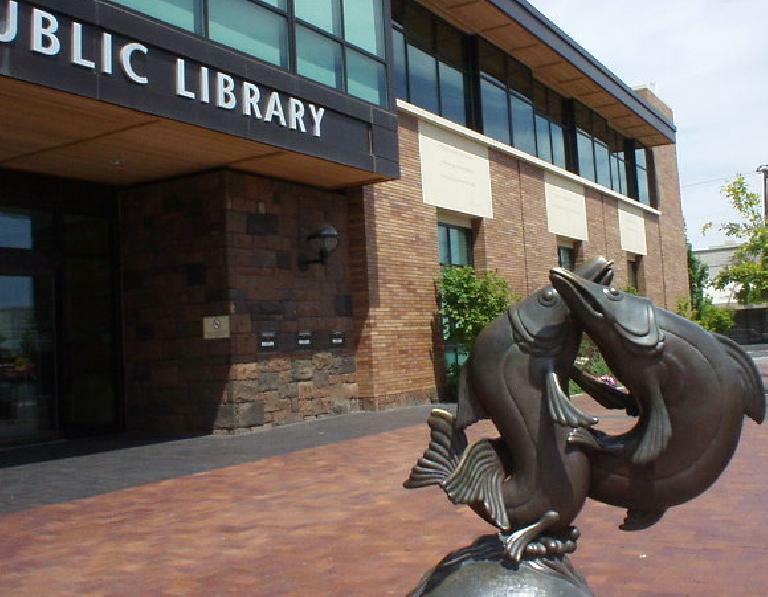 In addition, nearby Redmond (10 miles away) has an additional 15,000, and one can consider Sun River, Prineville, and Sisters as part of the metropolitan area, as they are within 20 miles of Bend. “Almost 10 years ago, there were mainly cowboys and rednecks here,” added hunza, “but all of that has changed.” Furthermore, there used to be “just really rich people or really poor people, but now there is starting to be something of a middle class,” stated Margey. At the same time, one of the things Margey disliked about Bend was… its growth. In addition to bringing noticeably more traffic and more parking difficulties (which are still a joke compared to the Bay Area), Margey wasn’t sure it was being responsibly done or well-managed. “Builders have an incredible amount of clout here, and policies towards growth seem to be influenced by that.” She alluded to an article in the paper talking about a drive to “save” the Skyline hills from developers. Coming with growth has been more cultural opportunities, however. There is even starting to be something of a music scene, with Munch ‘n’ Music occuring every Thursday night in Drake Park in the summer featuring free jazz and blues, and the Parrilla Grill is offering its Summer Concert Series every Friday from 7-10pm meant to encourage transit by bike, skates or feet. (“Show your spokes” and it’s just $2.) 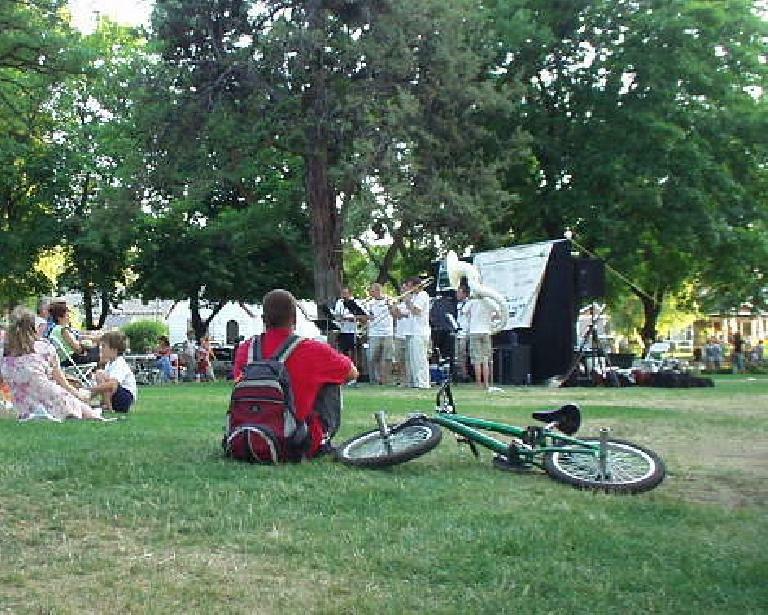 Liberty Bank has Summer Sundays from May to September (bendconcerts.com). Of course, what still attracts people to Bend of course are the recreational activies. This includes cycling, rock climbing, and skiing. The Cascades provide a brilliant backdrop for scenic, low-traffic road cycling with smooth, wide roads and lots of gradual climbs. See the “Mt. Bachelor 100” report for more about this, including photos. “Mountain biking is probably even better than road cycling, with hundreds of trails,” said Hunza. I have no first-hand experience of this, but if it is even better than road cycling here, it must be GREAT! Just a 35-40 minute drive (through rush-hour traffic) from downtown Bend is Smith Rock State Park, which according to Hunza, an avid rock climber from Czech Republic, “was THE premier place for rock climbing in the world.” Lynn Hill, the most famous female climber, even lived here at one time (Hunza even saw her here, shortly after seeing her in France while climbing!) See the “Smith Rock, OR” article for more impressions on this. There’s also a rock climbing gym in Bend which I have not been inside. According to Hunza, it gets busier in the winter, but is never overrun with people. Plenty of Sno-Parks are available before and after Mt. Bachelor for cross-country and snow shoeing. Downhill skiing is offered at Mt. 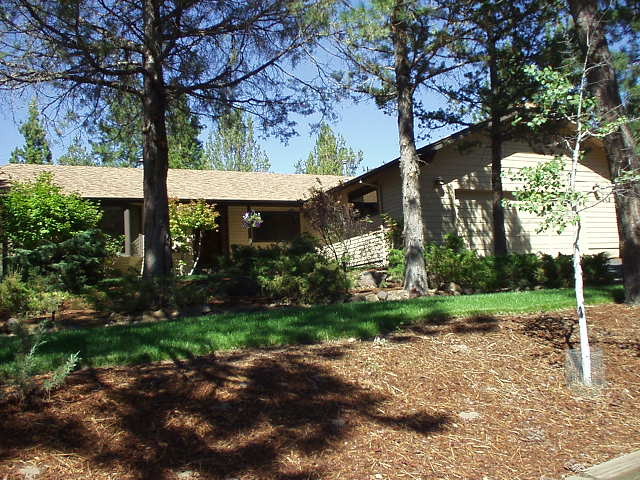 Bachelor, just 25 miles from downtown Bend. In the summer, while cycling I witnessed many people cross-country skating up Highway 46 in preparation for the snow season. There is a masters club which does swim workouts in a large swimming facility in central Bend (I have not been there). The annual Deschutes Dash is held in the Deschutes River near the Old Mill part of town; I am not sure if this section is always open for swimming or just for races. 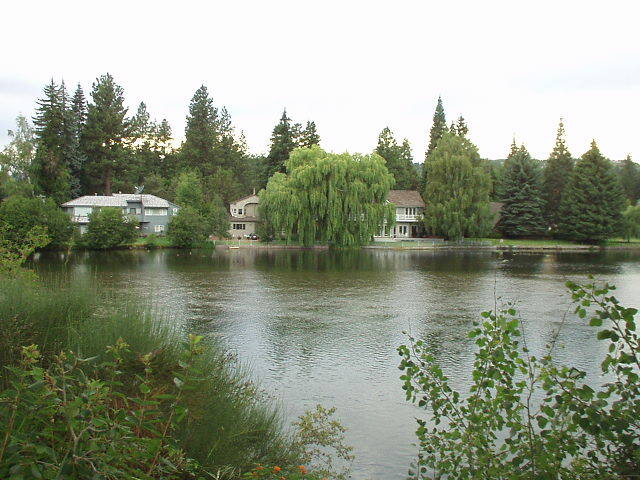 There is open water swimming in Todd Lake about 25 miles from downtown Bend, and Elk Lake about 40 miles away. Both are in the Cascade Range. 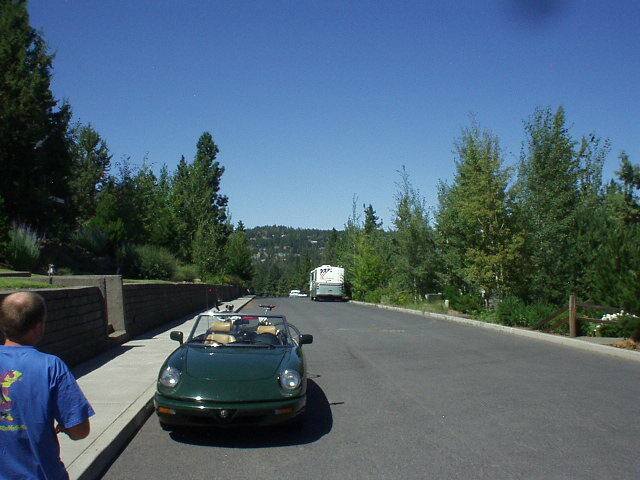 In addition, the annual Pacific Crest Triathlon is held 30 miles away, and its swim leg is held at the Sunriver Resort. Presumably, one could swim here any time during the summer for a fee. Of course, if there are hundreds of trails for mountain biking, there must be even more trails for hiking. I also have seen ads for tours for kayaking and white water rafting somewhere in Central Oregon. 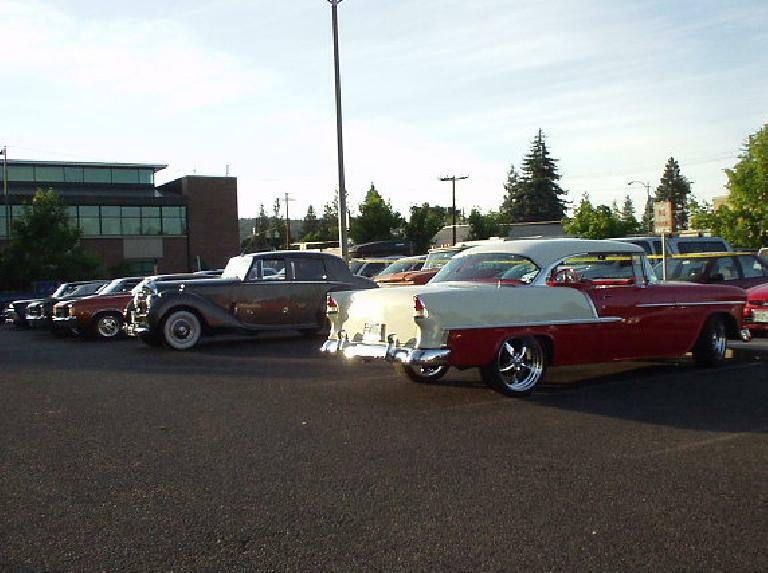 As I type this, right outside the window is a hot rod gathering of post-WW-II cars! I’ve only seen about a dozen cars trickle into the parking lot so far, but not bad for a Thursday night. 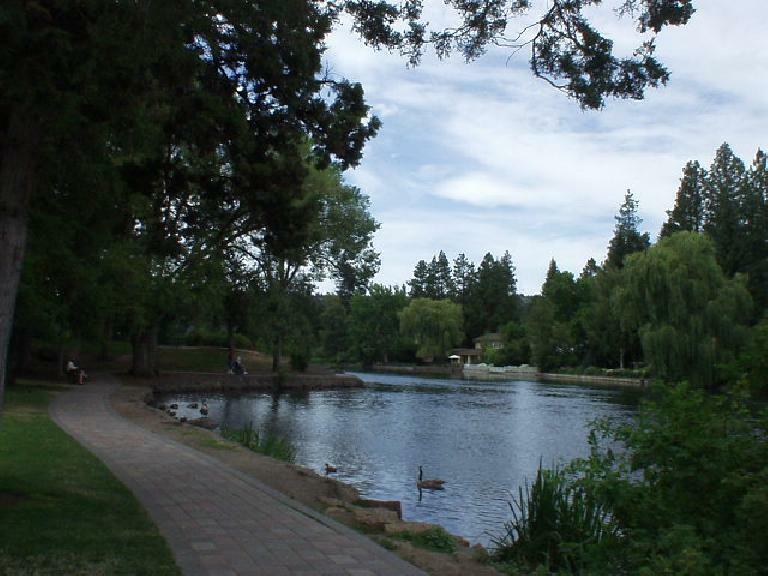 The economy in Bend is largely tourist-driven. 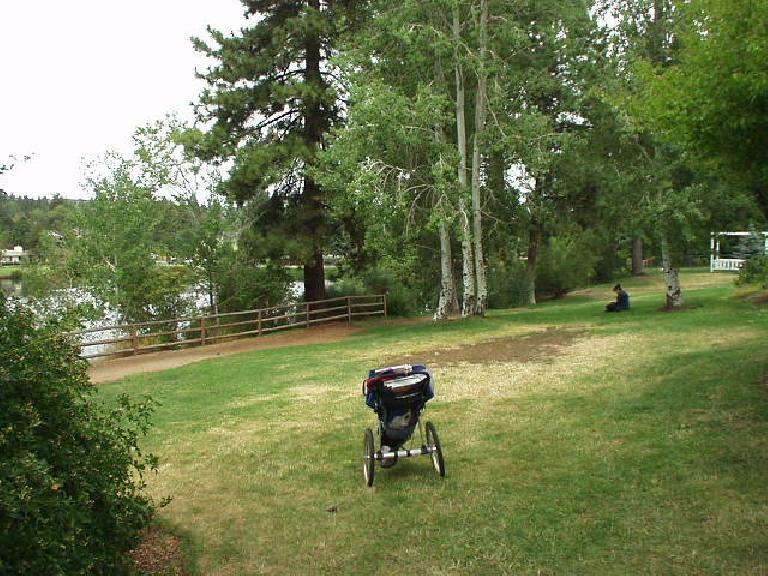 During the 90’s, it was touted by several magazines as “the Aspen of the West”. In recent years, or so I hear, the area has also been attracting a few minor hi-tech companies. Local companies include some breweries like the Bend Brewing Company and the Deschutes Brewing Company, and Metolius—the small-but-famous rock climbing equipment company that has maybe 60 or so employees. Currently, active cams and other climbing hardware is manufactured right here in Bend, but that may be changing soon. The company is rumored to be sold off with subsequent manufacturing going overseas to Asian manufacturers. The dearth of other employment, however, make a substantial fraction of the homes available here unaffordable to most. “Westside has always been considered the ‘cool’ [hip] side,” said Margey. 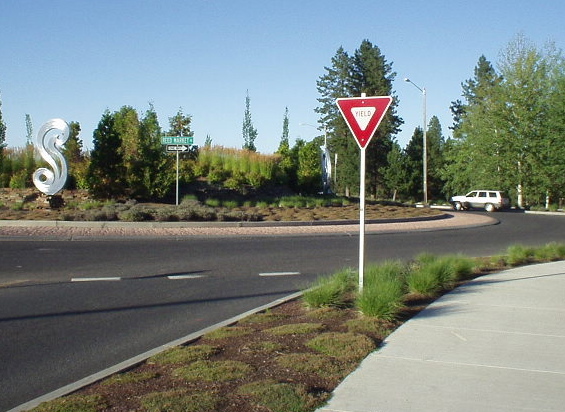 This side is defined as the land west of Highway 97, the main thoroughfare through Central Oregon. This is because there is easier/quicker access to downtown and the Cascades, without having to cross the highway. 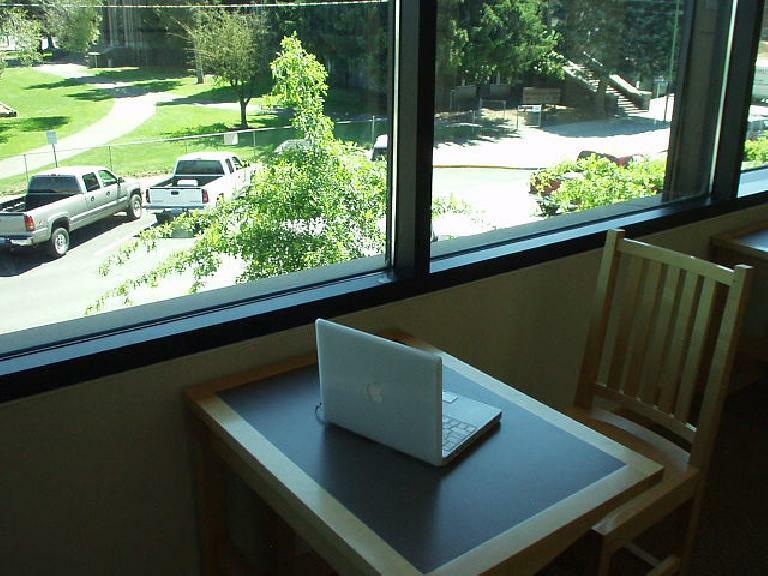 Personally, I also think Westside offers better views because it is greener. 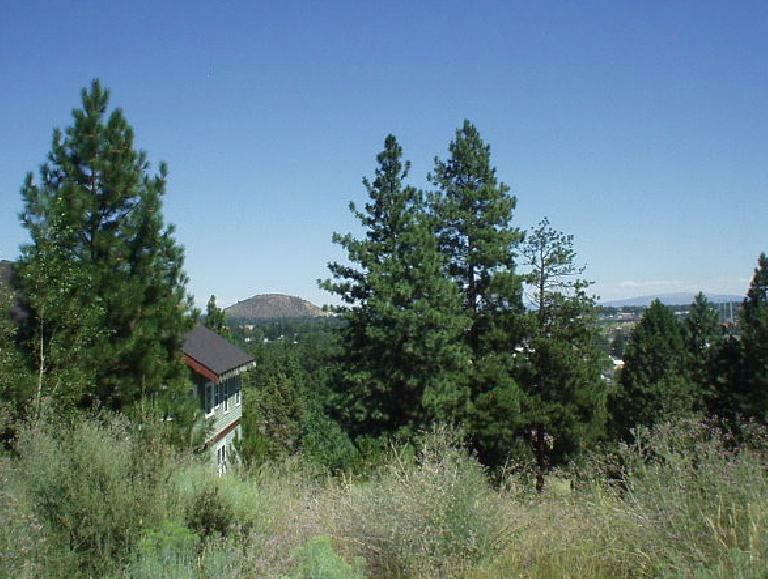 Overturf Butte offers view of the city, of the east hills, and of Pilot Butte. Skyliner Summit, NW Crossing, and Awbrey Butte all have views of the Cascades. I am sure there are more neighborhoods than this. The most grandiose (collosal) homes seemed to be those on the west face of Awbrey Butte, east of the golf course. These had an unencumbered, awesome view of the Cascades. The south (?) side of Awbrey Butte may have smaller, older homes that are more affordable. I haven’t confirmed this. On Skyliner Summit I saw at least two 3300 sq. foot homes (one with 5 bedrooms) going for $500,000 and they both had nice views. In general, one pays $100k-$150k more for the view. “Property values have appreciated 30% in the last year,” said hunza. I believe it. The same homes also went for about $250,000 in 1997 according to an article I read, meaning that they had appreciated by 100% in about 8 years. 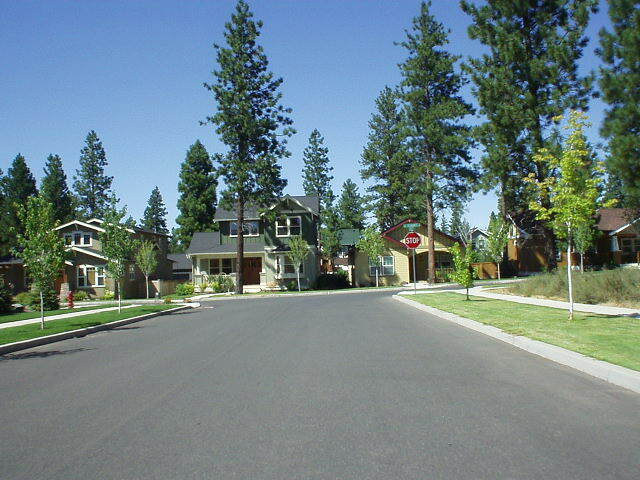 Redmond, the town 10 miles north of Bend, is considerably less expensive. I saw listings for homes with 2000 sq. feet and “views, views, views” for $325,000. Many people who want more home for their money buy one in Redmond. Other advantages to Redmond include its closer proximity to Smith Rock and the airport (both just 10 minutes away). Redmond is starting to get a something of a cutesy downtown, says Margey, though currently Highway 97 runs right through it, creating some traffic problems. (Note: recently funds have been granted to reroute Highway 97 around downtown Redmond, which should ease congestion considerably). Impressions on Redmond coming soon, once I check it out! Real estate potential is probably very good for the entire area as more companies and jobs come on in. Currently, there is about 10 miles of empty space between Bend and Redmond. Within 20 years, this will probably be developed with homes and companies. Right now there is a (rather uninspired) stretch of strip malls and car dealterships there. I can also attest that the pace of life seems vastly less frenetic than the Bay Area, where people are typically working 50-70 hours a week and one has to plan a week in advance in order to do anything with anyone. People do seem to have more time out here for other interests. Part of this stems from not working as much, but also a lot less time spent on commuting. “A 15-20 minute drive is kind of a long drive for us,” said Margey. This is a big contrast from the Bay Area where many people spend 2 hours a day roundtrip commuting to work, and 8 hours roundtrip a weekend just driving to & from the slopes to ski or rock to go climbing at. 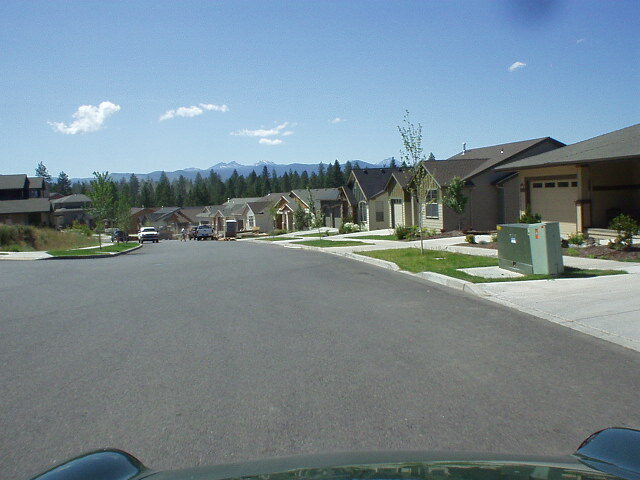 Accordingly, there may be some resentment among the older folks in Bend about all the “outsiders” coming in driving up property values and “Californializing” the area (“Bend is still pretty conservative,” said Margey), but for the most part, there are not much ill-feelings towards them since so many of them are from California. I certainly have only encountered friendly people, people who look you in the eye and say hello when you pass them on the street, ready with a smile and seemingly no angry people here (in contrast to the Bay Area and Stockton, where my last memories include various people screaming into their cell phones at “loved ones” complaining about this and that). Crime is virtually a non-issue, it seems, as reflected by crime data on city-data.com. Margey and Hunza feel totally safe here, and so did I at 10:00 p.m. Reading the local papers–the Bulletin, the Source, and the Oregonian–are refreshing, as there is a conspicuous absence of bad (violent) news, and main stories being that about a guy from Sisters getting into Harvard Medical School, etc. I got a considerable smile at reading the letters to the editor. The most serious one in the paper I read was about the “inconsiderate slobs… who have decided to make the Deschutes River and Mirror Pond (not to mention Drake Park) their own personal trash dumps” and that “we can take the time to stoop over, pick up a piece of trash and deposit it in a trash can.” I was smiling about this because I’ve been through all of Drake Park and it looked exceptioanlly clean to me! Indeed, said Margey, “So many people who live here seem to have some driving passion.” It seems that passionate people are either attracted to the high quality of life in Bend, or Bend draws out the passion in its people.